Tara is from the Village of Wappingers Falls, New York, about 60 miles north of New York City and relocated to South Florida in 1999. 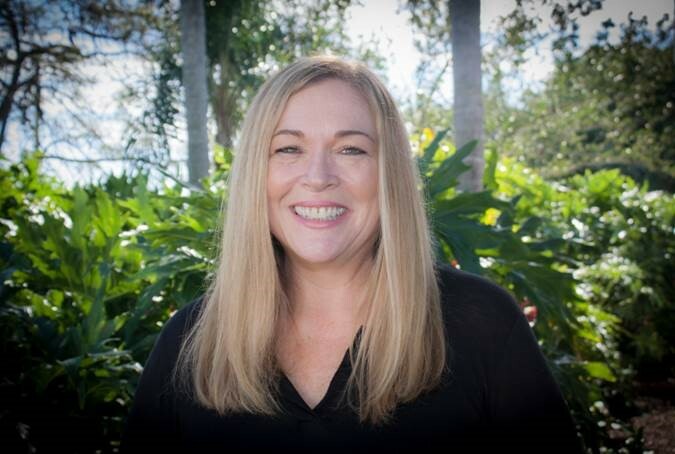 Tara worked for the Hanley Center for many years before Origins Behavioral HealthCare moved its offices to South Florida. Tara says she was very excited to continue working for a company with such an incredible reputation. She says she appreciates her husband who is a professional musician. As the couple’s two sons are also musicians, her house is always filled with a music that feeds her soul. Tara says it’s very exciting to watch her oldest son pursuing his dream with his band known as The Helmsmen. The group toured last summer and recently landed a channel on Pandora. I have been surrounded by the disease of addiction my whole life, and it has affected me in so many ways. I had both a desire to understand it and the compassion to want to help others who were suffering from it, so I started volunteering at the Hanley Center in 2008. Doing so has really changed my life. I am the Executive Assistant to our Executive Director and our Clinical Director. Their leadership is without compare. The compassion, kindness and knowledge that they both have and share with our patients and our staff each day are gifts. Origins’ employees work here because they love it; they are on a mission to give people strength and hope. There is never a day when I don’t want to come to work. I love my job, and that is the impression you get from all of our staff. We are truly a team, and we take great pride in what we do. I have learned that people can and do change even when they feel broken and hopeless. I believe in miracles, and they happen here daily. I hold a Class B Commercial Driver’s License meaning that I can drive the bus. I am also a Florida Notary Public. Currently, I am studying for my Certified Addiction Counselor (CAC) Certificate. Additionally, I volunteer at Dreyfoos School of the Arts, which is my son’s high school. I love being with my family and friends. I enjoy entertaining, listening to music, going to the beach, and indulging in a good Netflix binge with some candy. This year I will be married to the love of my life for 23 years. We have two sons, a daughter-in-law, a gorgeous one-year-old grandson who I’m obsessed with, and our dog Juno, who we adopted seven years ago. Every day I try and learn something new and have a good laugh. Life is fantastic, and I am deeply grateful. For more information regarding the many programs of Origins Behavioral HealthCare where Tara Paparo works, please visit: www.originsrecovery.com.